The Walrus is another popular animal. 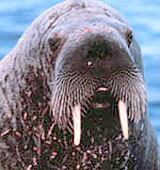 Sport Hunters enjoy walrus because of the challenge and its great tusks. Walrus use their tusks for hauling themselves around, for protection against bears, boats and other walrus and for moving pups around. They commonly lounge on rocks in large groups. The tusks also provide ivory to carvers. All kinds of jewellery are made from these tusks: rings, pendants and ear rings. Walrus are common on Walrus Island and Coats Island. 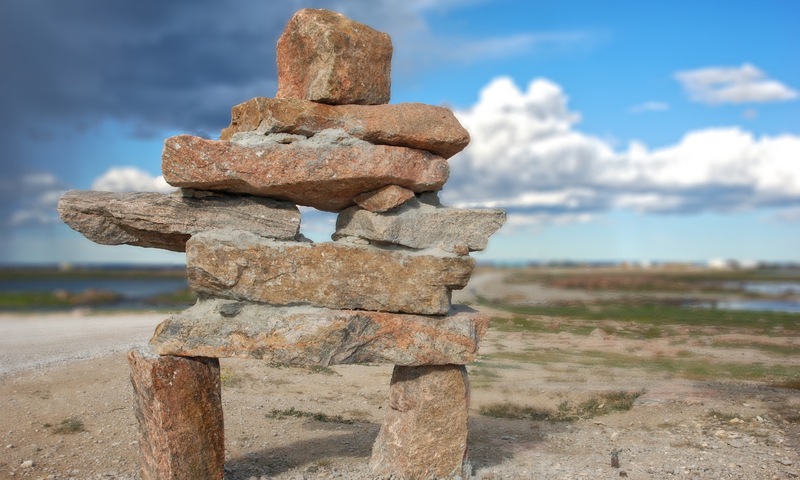 Using licenced outfitters and their services, you can travel to these islands and see walrus by the hundreds basking in the sun, splashing in the shallows, or diving for shellfish. The deep roars and flashing tusks of the huge bulls inspire respect for these big marine mammals.